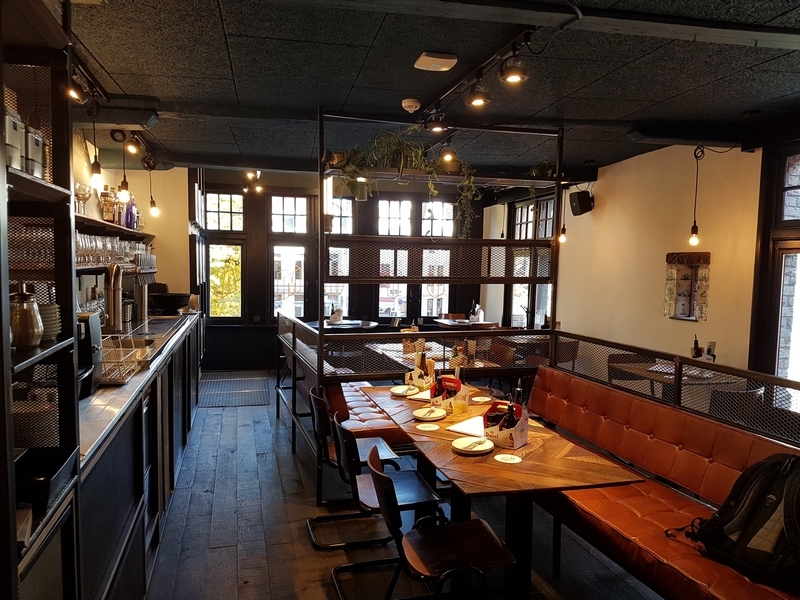 restaurant review #215 – Otomat is part of a chain of restaurants in Belgium. 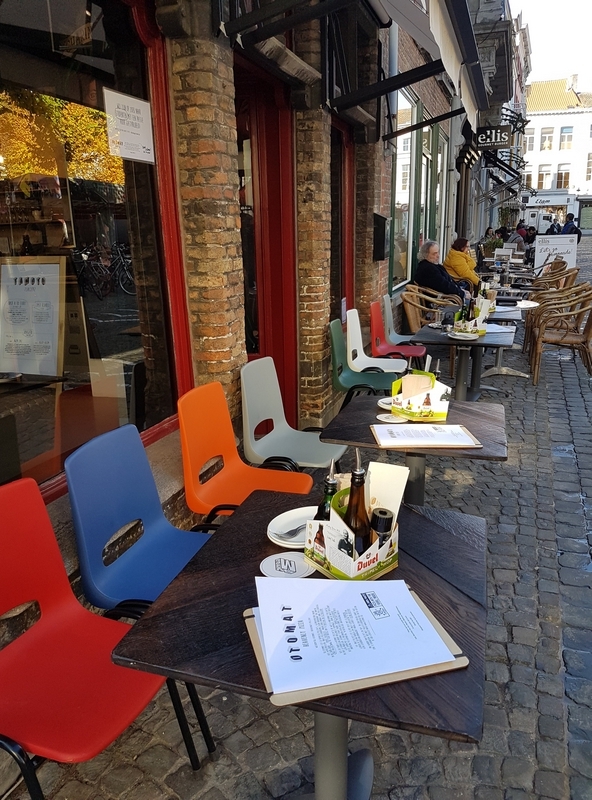 The one in Bruges opened in the Summer of 2018. It is in the city center, on the Simon Stevin square. 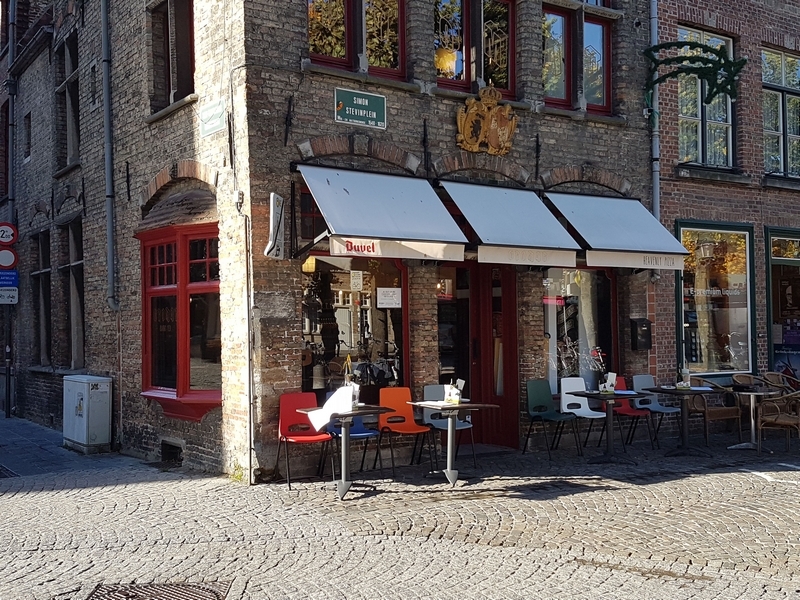 We were here a couple of weeks ago for lunch, in the Fall of 2018. Otomat has two vegan pizzas standardly available, each 13,9€. One with rucola and cauliflower (mega Vega), the other with yofu espuma (Las Vega), which is more spicy. So our choice was easily made! We also ordered a salad on the side (ask without the dressing). The pizzas were nice, but if you have a huge appetite this will not be filling. It would also be nice to have some vegan minced meat on the pizza, or tofu, or seitan on top, to add some more bite. It was good for a light lunch though. 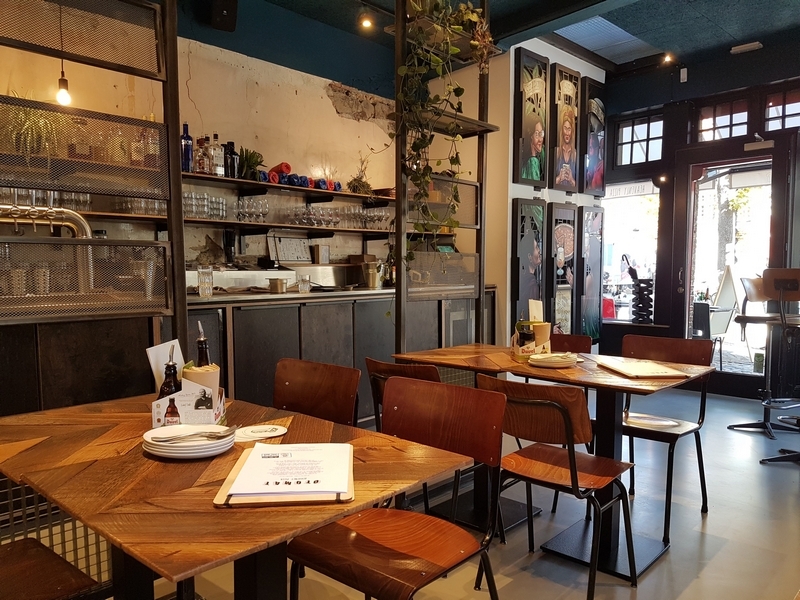 It’s a pity that none of the salads or appetizers is standardly vegan (you can ask a salad without the dressing, which we did). Ground level at Otomat Brugge is accessible, toilets are upstairs though. 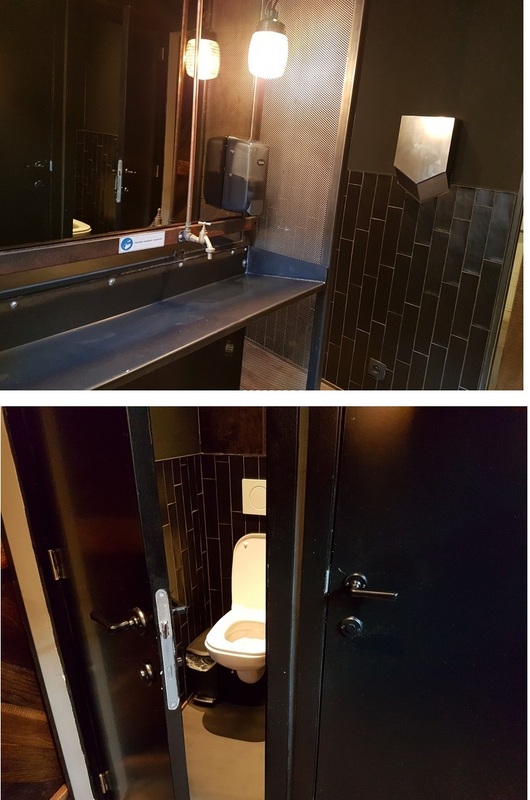 Toilets were clean and tidy. All in all: nice light lunch. 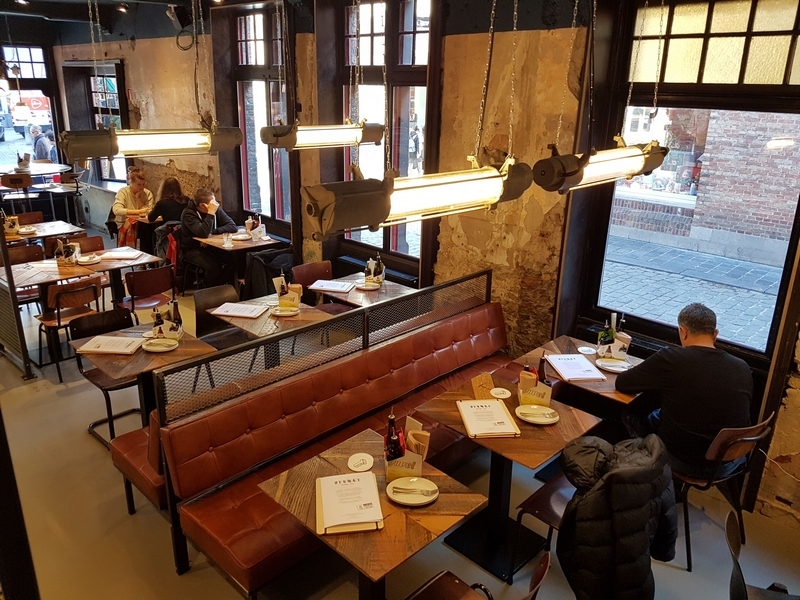 Friendly service, nice interior (uncomfy chairs though). Fair price. Must say I have never understood cauliflower on a pizza or broccoli for that matter. 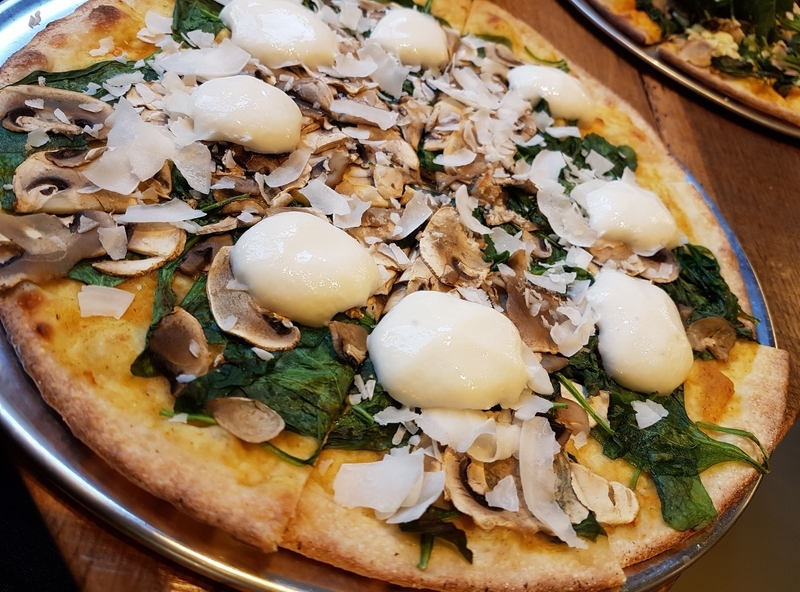 The main pizza restaurants here in Canberra now are delivering fabulous vegan pizza. So excited!!! 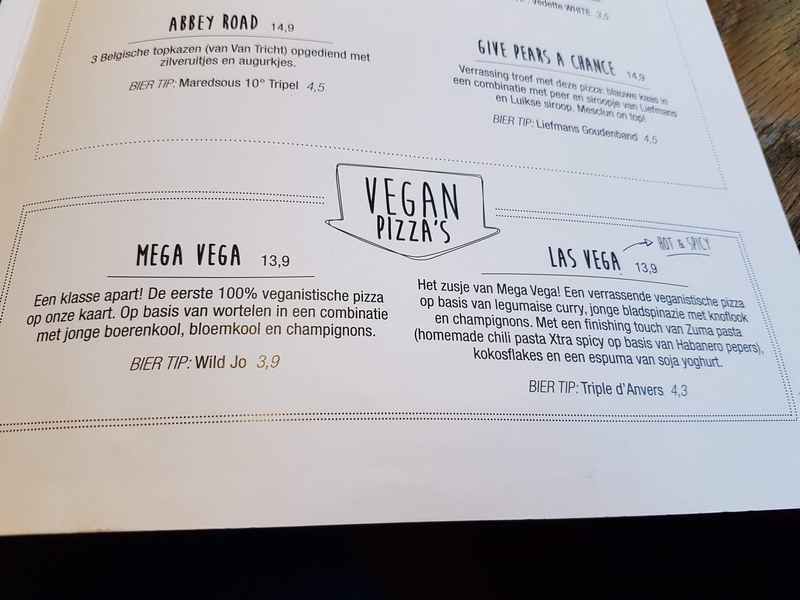 It’s great to see real vegan pizza called out on a menu. Given this, it is strange that no vegan salad dressings are offered. A new trend I see in California is choose your own toppings and all pizzas are the same price. 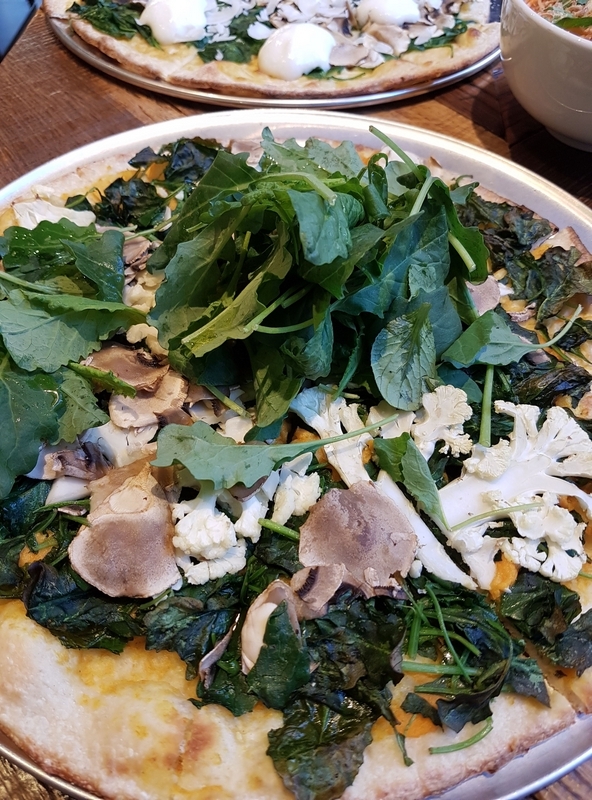 Same toppings are also available as a salad, with a few vegan dressing options.